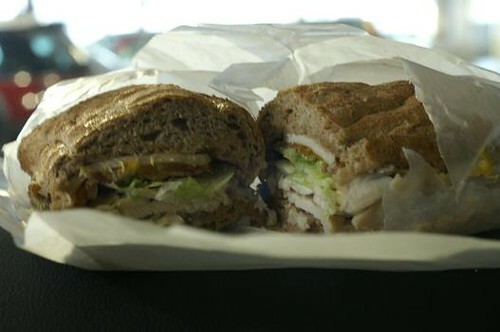 Potbelly Sandwiches | Eat It, Damn It! “You never eat fast food, do you?” A co-worker asked me this once. It’s not entirely true. In a place like New York, there are so many food options. There is Chinese, Japanese, Persian, Indian, Greek, German, Korean, French, Italian, Russian, Polish… the list goes on and on. Just about every food option is available. All it takes is a little bravery and a little effort. Most times, the food can be had at a reasonable price. With all the options available, why would I want to go to McDonalds. Even people who eat at McDonalds probably don’t consider their burger the best available. So why eat it? I do partake of some things at fast food locations. The coffee at McDonalds is generally respectable. If I am at a loss for something to eat, and I need something quick and cheap, Subway fits the bill. When I travel, I am fascinated by regional chain restaurants. Is there a regional flavor that sets them apart from what is available in NY? Do they have a theme that is particular to the region? When I was in Florida, I had to try Steak N’ Shake. Sadly, when I California, I did not get to try In N’ Out. While in Maryland, I got to try Potbelly. Potbelly is a chain sandwich shop in the vein of Subway and Quiznos, which are both also in Maryland. So I wondered, “What makes Potbelly different?” Nothing. 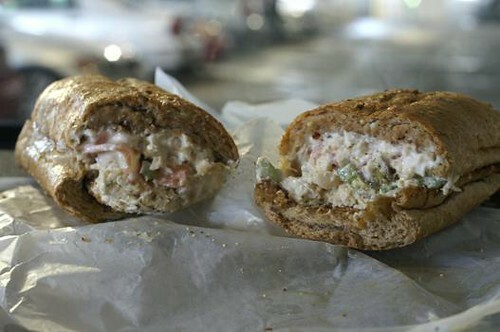 I got a Chicken Salad (large $5.50) on multigrain club roll with provolone, bacon, and jalapenos. It was terrible. The chicken was dry and lousy. The roll did not have any flavor. My girlfriend got the Grilled Chicken (regular $4.50) with cheddar, mayo, and lettuce. Equally disappointing. Potbelly also has soup and chili, but considering their inability to make decent chicken, I would not have them cook anything else. If you have the opportunity to sample Potbelly, don’t.